One of 2015’s most charming documentaries was the under-appreciated rom-com-meets-documentary produced and directed (and lived!) by actor Ravi Patel and his sister Geeta, a filmmaker. 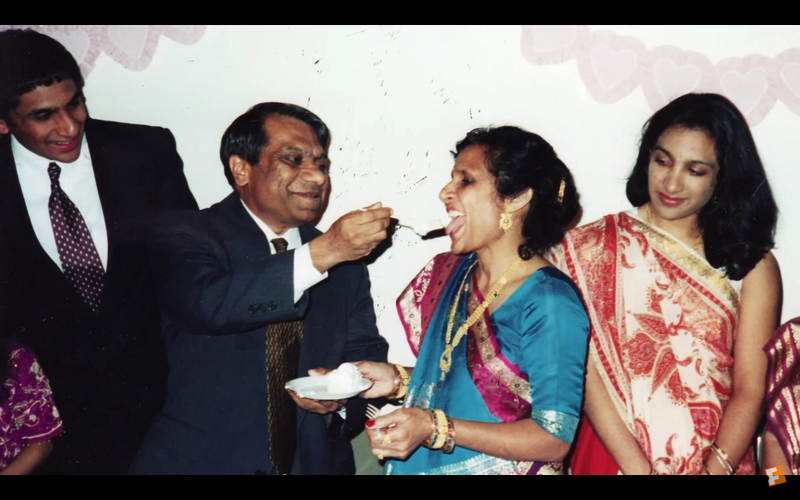 Meet The Patels stars the duo and, more importantly, their parents — Vasant and Champa — who met via an arranged marriage set-up and urged their children to use the same strategy. After ignoring his matchmaker mother’s pleas for years and years, Ravi goes through a nasty breakup and finally agrees. Geeta’s camera happens to be watching and their film explores what happens after a son decides to listen to his parents for a change, putting his romantic future in their hands. Is it difficult to see your parents as subjects, not just your parents?Geeta: This has been such an intimate process for us because it started as a home video with absolutely no intentions of making a feature. At first, [the cameras] were almost therapy for us. I think there was a point in editing where we had to go, “Is this Mom? Is this really her? What’s missing of her?” Because you’re basically reconstructing character through editing — even though they’re being themselves. We only put in the places when Mom was really hard on Ravi, but we didn’t put in the places where we show why he loves her so much and why we all love her so much. Did you mean to structure this documentary as if it were a romantic comedy? Ravi: Our parents come from India and from a very spoken-word tradition, they’re really great storytellers — when they tell [stories] it’s in a traditional three-act structure. For us, life is a story, love is a story, and it’s been almost seven years now [since we started making the film], that we’ve waited for the ending. It seems so effortless, but for us, it was really hard. We didn’t know what that third act was going to be. At the same time, in the filmmaking itself, yes, it was a choice. We felt like sometimes people see their lives as movies — like a romantic comedy. Luckily for us, life is so much funnier than the movies. The film seems to work to de-vilify arranged marriages. Was that intentional? Ravi: Yes. We wanted to do that. We originally made the film because we had a hard time explaining this entire thing to our friends. We were really getting of tired of the lack of dimension and characters that were associated with arranged marriages in the media — there is a very black and white way of looking at it. We just had trouble with the documentary form changing into reality television that people think is real. You look at some of this Kardashian stuff, and it’s not real because there are no dimensions to it. The humanity is missing. When Ravi finally told your parents that he had this long-term girlfriend he had kept from them, I was surprised that your mother was super hard on him and your father wasn’t. Geeta: I was surprised, too, to be honest. I think the greatest lesson we’ve learned is the things we build in our heads — the fears — are not worth it. I don’t regret anything, of course, but it would have been interesting to tackle our problems earlier and not be so afraid or so sure how our parents would react, because they did react so differently than we expected. Being the older sister who has already been through this, oh man, if I had just seen the film or known these lessons when I was 20, I would have spent so much less on therapy. Do you think the arranged marriage situation is more difficult for women or men? Geeta: It’s absolutely harder for women. I think my parents were harder on me, but I was also the first one born in America. I don’t even think it was them being strict as much as them doing what they thought was the way you do things. They didn’t know how to find a soulmate outside of the arranged system. They want me to have what they have. And we’re raised to be good wives, raised to make dinner, raised to take care of the family. Traditionally speaking, men are the head of the household: they go to India, find a wife, bring her back. Her desires are second to what the man needs in so many ways. Did you find any surprises within the system of arranged marriage?Geeta: I think that the interesting part of making this film is that we never saw it as weird because we grew up with it. The system has always been part of our home life. Only when we were all in India together that it hit us and Ravi went, ‘Do you realize how strange this is compared to what’s going on in America? 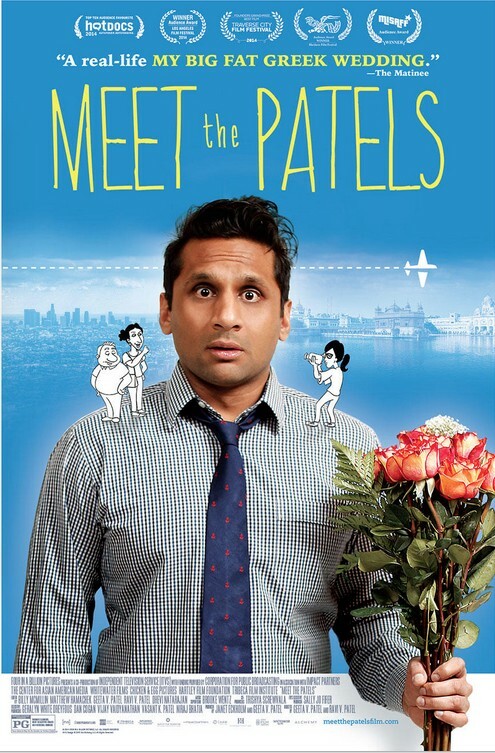 Do you realize Patels marry Patels?’ It was that moment that made the film. This film changed our lives, it changed our relationship, it changed everything for us. Ultimately, we wanted to make a film that we would’ve wanted to see when we were going through this. A film that helped our community feel less alone in this complicated, gray area. Ten years ago, I remember looking for a therapist to help with this cultural confusion and I remember walking into a lady’s office and she said, ‘I just saw The Namesake. I completely understand,’ and I was like, Oh gosh. It was something that was hard to explain. I went to another therapist and she said, ‘Your parents are horrible.’ It’s this new thing. And it’s this old thing. Geeta: I just think it’s hard to talk to someone about this without making it black and white. The goal is to talk about arranged marriage in a way that’s constructive and doesn’t make everyone look like a racist. Because it’s not really what it’s about. Are you still getting questions about your romantic situation? Geeta: I get it all the time. It’s funny because I’m single and I always announce that at the Q&As. It’s that nightmare where you have to tell a room full of 500 people that you’re single.